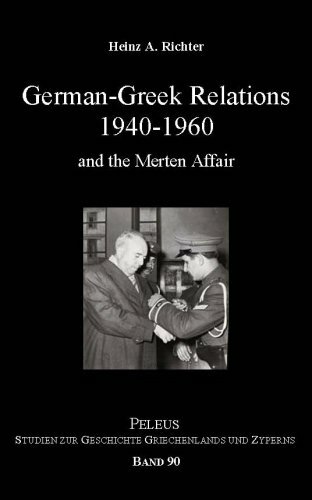 This study describes the developments of the German-Greek relations from 1940 to 1960. It begins with the occupation of Greece and describes the organisational structures of the German army in Greece. It analyses the functions and competences of a Kriegsverwaltungsrat which was the function of Max Merten.